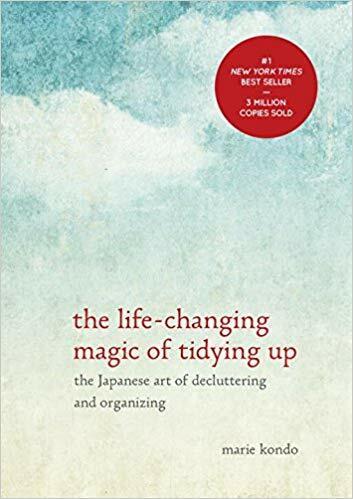 It’s not just about tidying up (though it’s an excellent book on that). Underlying it is a powerful philosophy on handling our cluttered lives. Highly recommend, you can read it in one sitting. The secret of tidying success: start by discarding, then organize your space, thoroughly, completely, in one go. If you use he right method and concentrate your efforts on eliminating clutter thoroughly within a short span of time, you’ll see instant results that will keep you empowered to keep your space in order ever after. Tidying is a tool, not the destination. The goal should be the lifestyle you want once your house is in order. Putting things away creates the illusion that the clutter problem has been solved when it hasn’t. Tidying up by location is a fatal mistake, instead, tidy by item. Do not even think of organizing and ordering until you have finished discarding. Take each item in your hand and ask yourself does this spark joy?” If not, discard it. Start with clothes, then books, papers, miscellany, and mementos last. As you go through the order, break each category down into subcategories to make it less overwhelming and to focus better. It’s not about what to discard, it’s what to keep . Default to discard unless something truly brings you joy. As you go through each category, gather everything in one lpace so you can see it all at once. Tell yourself that anything you find after the initial piling HAS to be discarded. People never retrieve the boxes they send “home,” don’t use your parents or family as a dumping ground fo the things you’re afraid to discard. Designate a place for each and every thing. When you return home, dump out your bag, and put everything in its place. By having a place for every thing, you make sure that unnecessary things do not slip in. Store all items of the same type in the same place, and do not scatter storage spaces. One theme of tidying is transforming the home into a sacred space, a power spot filled with energy. Transform your closet into your own secret, sacred space that gives you a thrill of pleasure. Appreciate your belongsings, personify them, thank them for serving you. At our core, the things we really like do not change much over time. Putting our house in order is how we discover what they are. The question of what you want to own is the question of how you want to live your life. When we delve in to why we can’t let something go, there are two main reasons: an attachment to the past, or a fear of the future. Greet your house when you return home, respect it. Detox your belongings to detox your mind.